SEOUL -- To replace conventional anti-personnel mines, South Korea has deployed a recyclable home-made munition system that allows its operator to identify enemy targets and launch an attack from a remote location. The Defense Acquisition Program Administration (DAPA) said Friday that the remotely-delivered system developed by Hanwha consists of a detector for identification and a killer device. Ammunition and equipment are lightweight, easy to install and recycle, and can be reused repeatedly. The new system enhances the safety of soldiers and civilians because targets are selected and attacked after identification. It can be installed and removed safely. Hanwha has produced self-destructing antipersonnel mines, Claymore directional fragmentation mines and remotely-controlled mines. 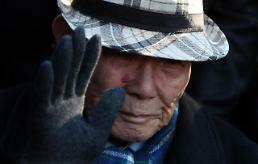 South Korea's antipersonnel mine stockpile was not known, but mines have been planted along the inter-Korean border and around front-line military barracks for decades since the Korean War ended in an armistice in 1953. 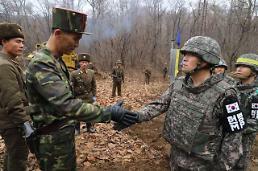 US troops based in South Korea also keep a substantial number of mines. 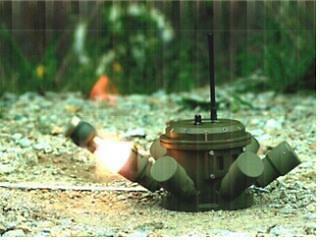 Smart mines refer to a number of next-generation land mine designs being developed by military forces around the world. These include mines designed to self-destruct or self-deactivate at the end of a conflict. The development of smart mines began as a response to an international campaign to ban landmines as a way of reducing non-combatant and civilian injury.